It’s fantastic that you can still get original-design Heywood Wakefield furniture, built new. In 1992 a Miami company bought the rights to the HW furniture line and began producing it to original specifications. Heywood Wakefield “blonde” furniture was the epitome of 40s and 50s decorating. 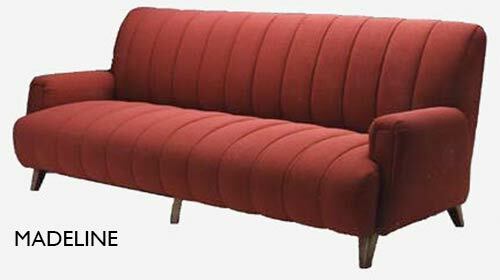 If you need a sofa – they have several models from which to choose, and a number of fabric choices. You can also provide your own fabric. Of course, it’s still great to buy original vintage pieces – if you can find them. Regarding vintage sofas – it’s been my experience that it’s very expensive all costs in — what with the need for the piece itself, the fabric and the upholsterer. In addition, if there have been smokers or pets, you’ve go to rip the whole thing down to the springs. Perhaps better, with sofas, to buy the reproduction and start fresh. Check these out on heywood-wakefield.com. Love, love, love HW furniture! Glad to see it’s still being made! I love this place,back in times for me!